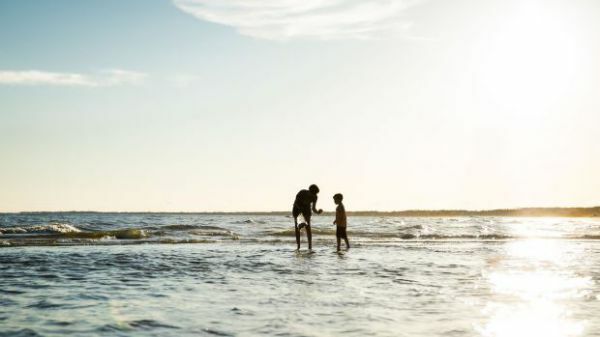 Our Gulf County, Florida beaches (located in the Panhandle between Panama City and Apalachicola, Florida) were voted #1 beaches in America in 2002. The judges admired the sunsets that take your breath away, the white sand, blue water, and impressive beach-front plant life. Swimming and floating in the Gulf of Mexico is a perfect pasttime, but sitting in a rocking chair contemplating the peaceful horizon is a joy in itself. Grab a cup of coffee and relax on the porch in the morning enjoying your gulf-front view, with no houses for 300 feet on either side. Gaze past the beautiful dunes with diverse beach plant life and look out for frequent dolphin sightings. We have two huge porches upstairs and downstairs where rocking chairs are waiting for the guests. The sunset hour is the time for all to gather on the porches. The spacious, open floor plan features hardwood floors and tile baths, flat screen TV's, DVD players, and WIFI, plus a fully-outfitted kitchen and laundry room. 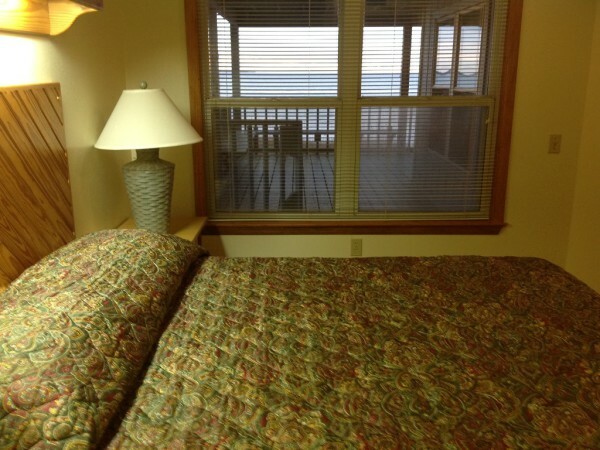 Each bedroom opens onto the gulf breezes. The whole house includes two kitchens, two living rooms, and two dining areas. This highly-reviewed house provides a perfect space for family reunions. Please read the opinions of our guests at the bottom of the page. 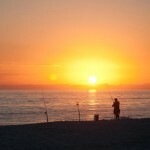 Come and enjoy our white sand beach, beautiful water, and perfect sunsets. This unique, beachfront house is the only home on a 600 foot stretch of white sand beach (that means that no house is jammed against you on either side).The spacious open floor plan features hardwood floors and tile baths, flat screen tvs, dvd players, and wifi, plus a fully outfitted kitchen and laundry room make this a perfect house for your vacation needs.It is designed with a central wall that has sets of pocket doors between two sides so that it can be rented as one whole unit (six bedrooms, two kitchens, two living rooms, etc.) or the sets of sliding pocket doors can be closed and it can be rented as two units. 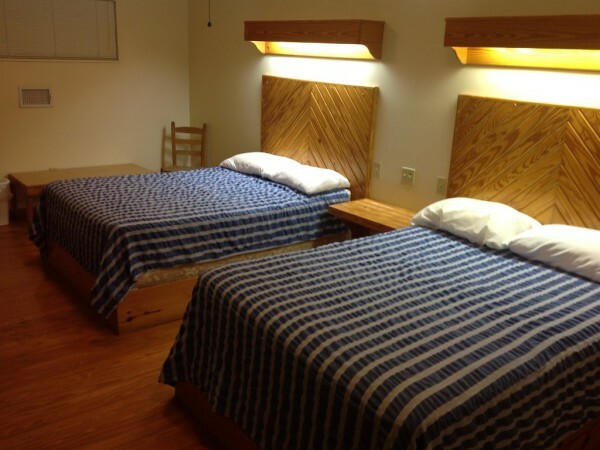 During the months of June and July, we only rent it as a whole unit. It is a well thought out, architect designed home that features simple decor - wood floors throughout and simple, functional furnishings. Each bedroom opens onto the Gulf breezes. 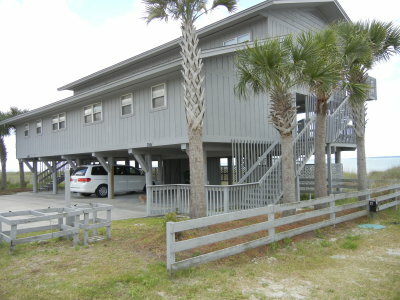 It features two huge decks that span the whole gulf front of the house where rocking chairs are waiting for the guests, making the gulf front location a perfect place to watch dolphins and sea birds. 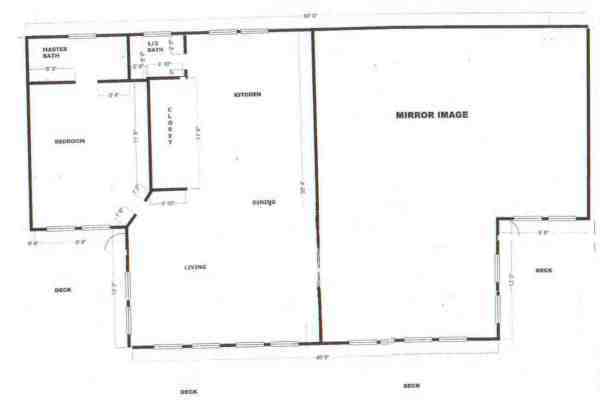 Please do not contact us for price reductions;we are already well under local market value. 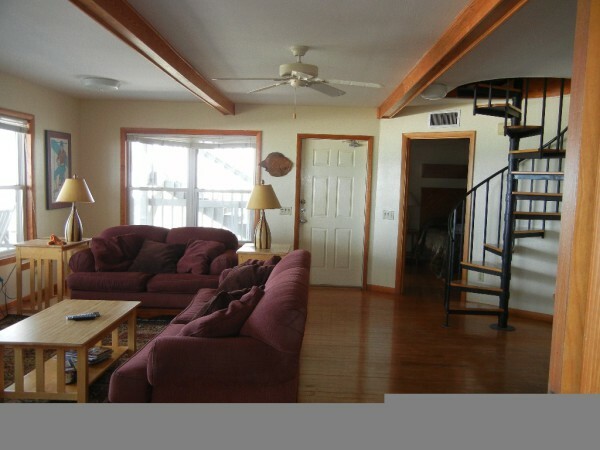 Our house rents Sunday-Sunday for weekly rentals all summer and in April. family friendly beach. 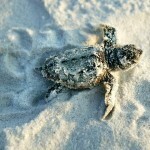 This beach is appreciated by local families because there is no undertow. No smoking in house, smoking allowed on deck with proper use of ashtrays. This is a no pet vacation home. King size beds (2) Two Kings in whole house. 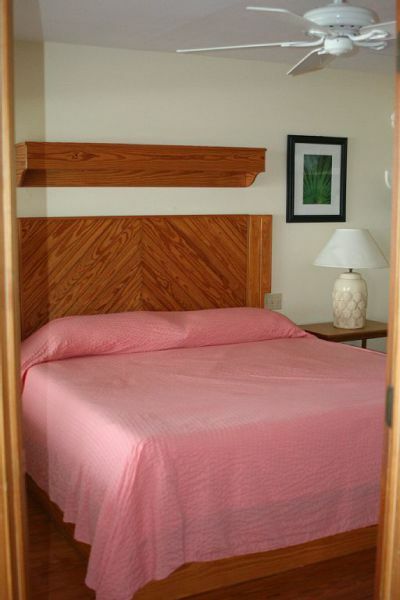 Both located in master bedrooms on first floor. Double Beds (8) Eight double beds in whole house. Two doubles each in 4 upstairs bedrooms. 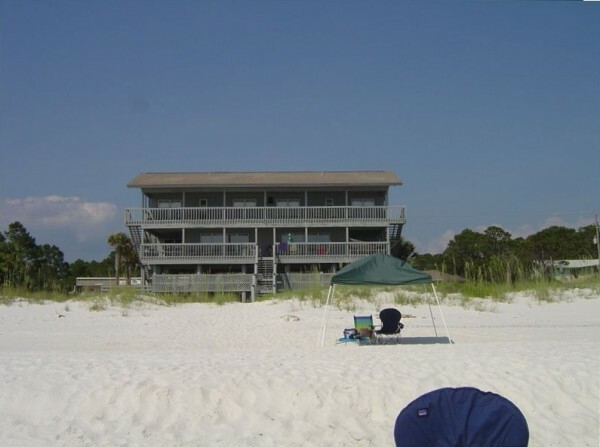 dedicated beach for a long city block on each side, ceiling fans in each room,a view of the beach from each room, and private boardwalk to the beach with outside shower. (2) flat screen brand new TVs. One on each side. deluxe, noiseless, water cooled geothermal system. Covered Parking: Room for 5 cars under covered space. Large, with panoramic view of gulf. (2) separate landline phone numbers, one for each side. washer dryer room on parking level. 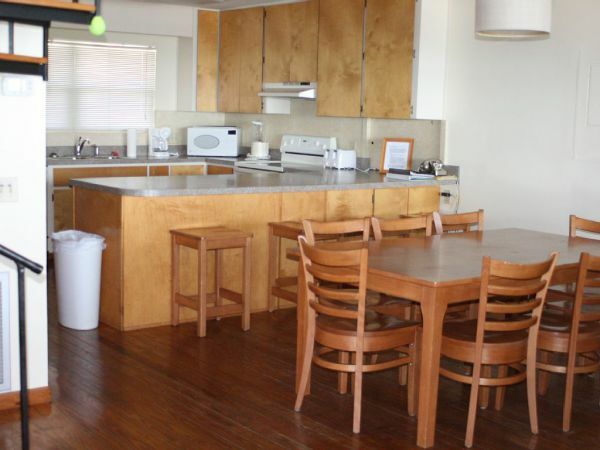 generously outfitted with cooking utensils & dishes. enough to comfortably feed 20. (2) In whole house, 2 dishwashers. (2) If whole house is rented, there are two complete electric kitchens. (2) In whole house, 2 microwaves. whole house has 2 ovens. (2) In whole house, 2 refrigerators. (2) 1,520 square feet of covered porches that cover both levels of the full length of the house. Equipped with rocking chairs for serious reflecting on the beautiful view. 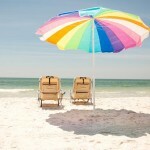 Gulf Coast Vacation Rentals, Inc. This was the first family vacation, with multiple generations, our family has taken (14 people). The house was perfectly designed to accommodate privacy for members as well as amble space for cooking, gathering and showering afterwards. Our grandchildren, 5 yrs/7 yrs loved the spiral staircases. 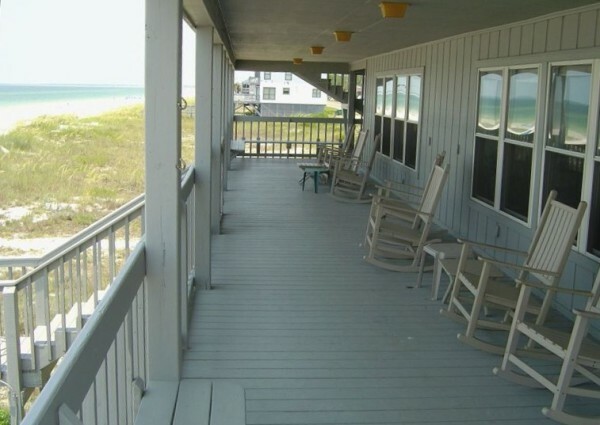 We especially enjoyed being able to sit on the deck/ rocking chairs throughout the day, watching the activity on the beach, including early sunrises, fun time on the beach and evening sunsets. 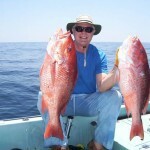 The location at St. Joe Beach also afforded numerous opportunities for dining out, deep sea fishing trips, dive trips, and numerous other local trips. We visited with several local folks, including the restaurant across street, Shipwreck. They were willing to grill our fish caught on the deep sea fishing trip - was delicious! Everyone was so friendly and helpful. Can't say enough of how perfect this was for a family vacation. The first week of may was perfect timing for warm days and cool nights. Our families met here at this beautiful beach house for a long overdue family reunion during the beginning of August. With 8 adults and 7 children/young adults ranging from 10 to 17, we had plenty of room in this spacious, well kept duplex. 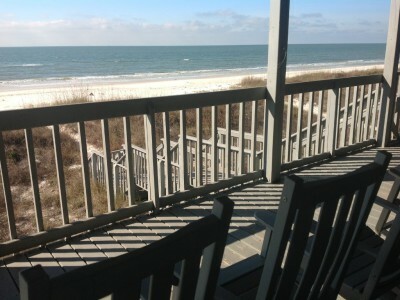 We absolutely loved the view of the ocean from the double level porches and relaxing on the rocking chairs. 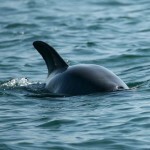 On one day, we actually saw a pod of dolphins swim around, and one jumped up out of the water just like at Sea World! Unbelievable! My father, brother, 10 year old son, and 12 year old nephew shore fished every morning at 4:30 and had some great catches (as well as their share of seaweed)! There was very few people on the beach behind the house, so it felt at times you were at a private resort. The adjacent houses on each side of the duplex are farther off, so it definitely felt like you were on your own private beach. 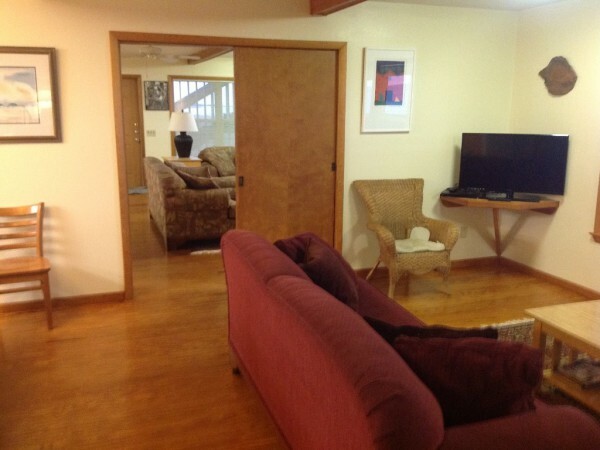 The duplex is very well kept, and has all the amenities of home and more. 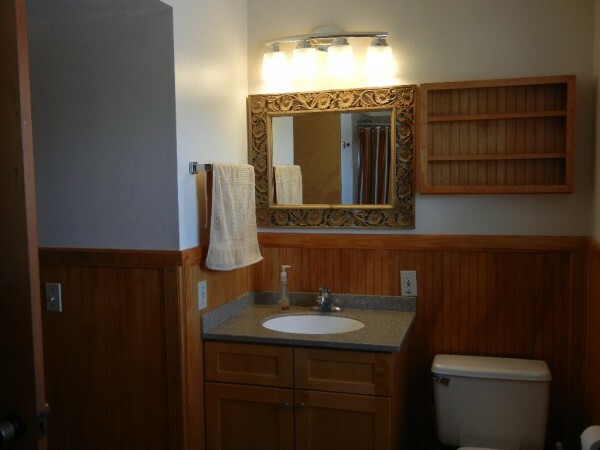 I love how each of the bedrooms have their own sinks, separate from the bathroom. It's great for adults and especially the kids. . . one can be taking a shower and another can be brushing their teeth. The open format of the kitchen and living room was perfect for family time and the spacious bedrooms accommodated us all so comfortably. There was very little we needed to bring as far as comforts from home, since the duplex had it all. We had no problem driving to the local supermarket to the west of the duplex or the Piggly Wiggly to the east of the duplex just a short distance away to get groceries or miscellaneous items. Mary is such a joy to talk and deal with! She truly wants to make your vacation in her duplex a wonderful one; she's extremely helpful, knows the area, and quick to respond to any questions you may have. When our vacation was over, and we left the duplex, my father forgot his watch. I contacted Mary, and she was able to find the missing watch. She mailed it back to my father free of charge. Thank you, Mary! Wonderful owner, beautiful property, great and memorable vacation! We stayed here in July absolutely loved the house. It was perfect for our 3 families. Everything we needed we had and Mary was so sweet checking in on us and giving us good advise. Would love to come back again. My son's were able to surf fish due to the few people on beach. It was great! We came with 7 children, their parents, and both sets of grandparents! It was perfect for our family, so spacious, comfortable furnishings, easy access to and from covered parking area/laundry room.The children loved the spiral staircases, but all of us used the outdoor steps to easily access the upstairs living areas. The delightful ocean facing, balmy decks (and rocking chairs! 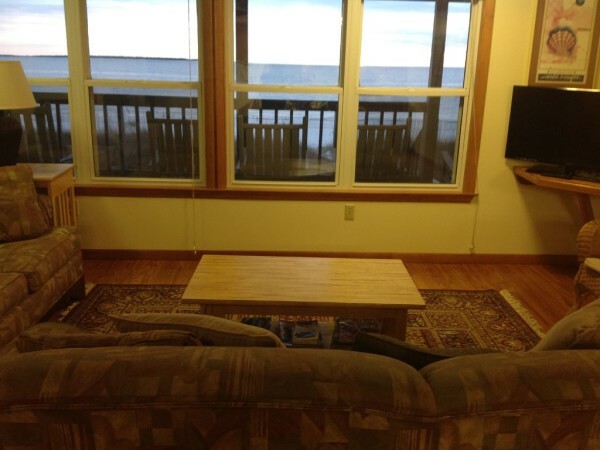 ), and large living room windows, gave us great viewing of spectacular sunsets, and the beach. Having two living room/dining room/kitchen areas enabled all of us to have plenty of choices of where to relax, dine, play, enjoy each other. The beach was quiet, great waves, and the sand was just right for our young "artists" to create drawings, and collect shells. 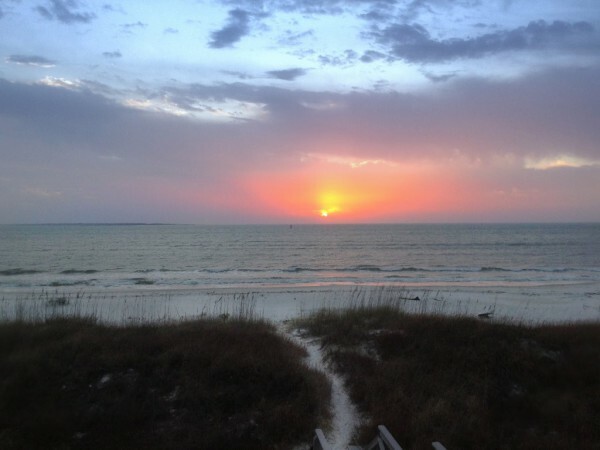 We visited the bay, and also took advantage of the Cape SanBlas Golf Club pool, at the end of the day, just a short drive from "home base". The whole family agreed this was a great place to relax, and hope to come again. We gathered with our children and grandchildren for a week of fun in late June. Our grandchildren had a great time running up and down the outside stairs and the spiral staircases. There was plenty of room for a group of 17 - with both privacy in the separate bedrooms, and gathering together for meals and socializing in the great rooms of the two halves. The beach was fantastic - very small waves for our youngest grandchildren to introduce them to the sea, and plenty of sand for our castle builders, both little and big! A couple of gorgeous sunsets, exciting lightning storms and jets flying by overhead completed our week. Well worth a visit! This house is perfect for my whole family, we need the whole house !we can all be together here and comfortably so. This was our second stay at the Gibson house,and we would totally recommend it. The ocean breeze from the deck, in a rocking chair....a lot like paradise!!!! Thanks!